We wanted to ‘showcase’ our portfolio of skills and talents at the Little Costume Shop – Weddings, by making a wedding dress in quarter scale that everyone would know, a dress that is currently the most famous wedding dress in the world; the stunning Alexander McQueen – Sarah Burton designed dress for Kate Middleton’s marriage to Prince William on April 29th 2011, and what a wonderfully happy occasion that was! Firstly, we made a mannequin that showed off Kate’s tiny waist, so that the thickness of the fabric did not also thicken her waist. We researched extensively and visited Buckingham Palace where the dress was exhibited, where we were able to see the finer details. 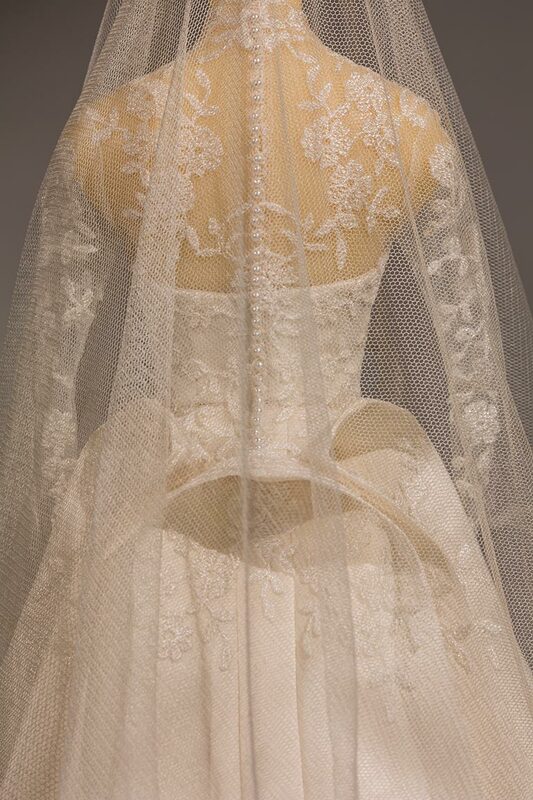 The next step was to find the right way of doing the lace, which of course had to be scaled down to quarter scale. 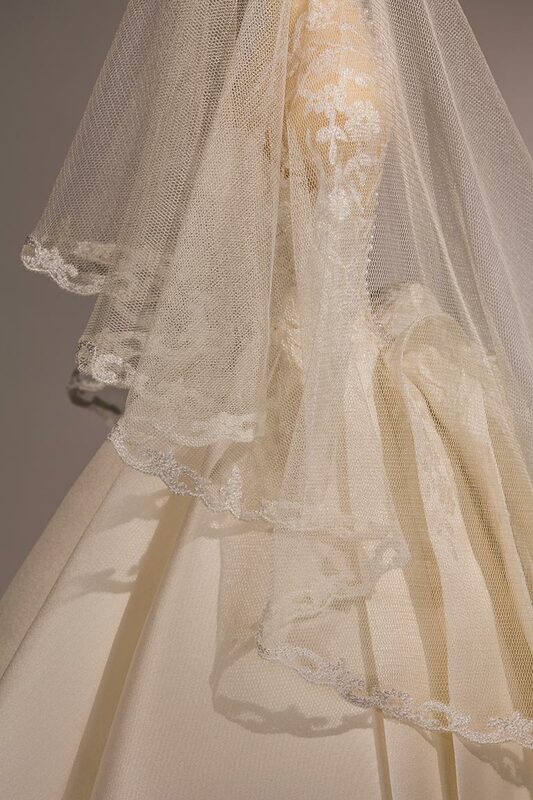 We searched until we found a French cotton lace that we felt would do the original dress justice, and invented created our own methods of appliqué on this scaled down replica to give the same impression as the original. 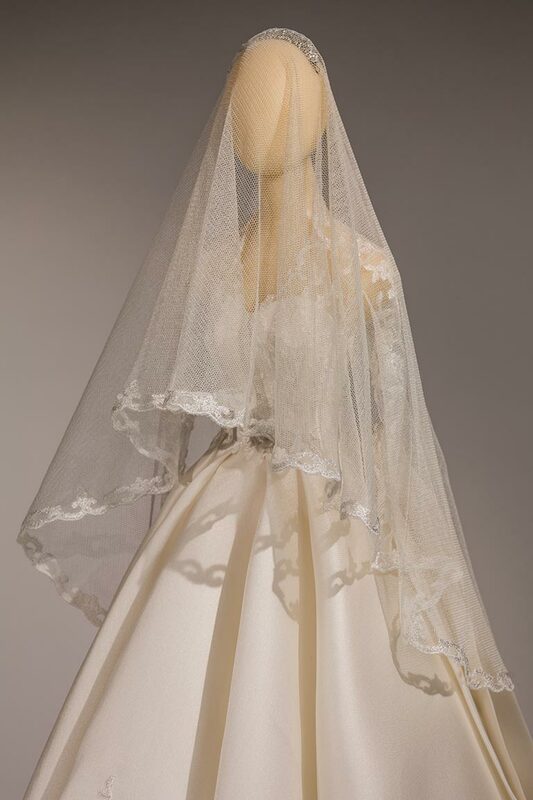 To complete the piece, we also made a miniature tiara using a base of laser cut stainless steel, decorated with Swarovski crystals, and the crowning glory, a gossamer fine silk tulle veil edged with lace. 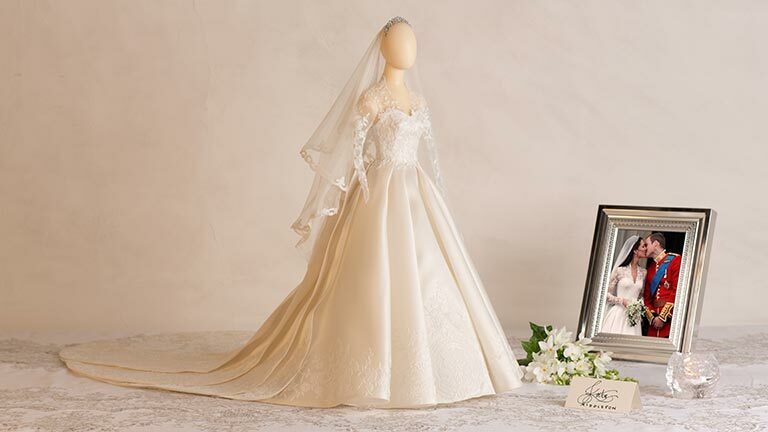 If Kate could see our little dress, I wonder what she would say!